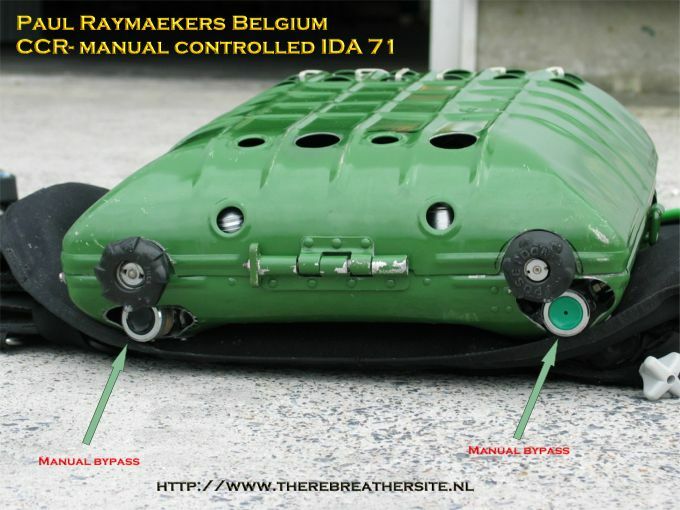 Paul Raymaekers lives in Belgium. 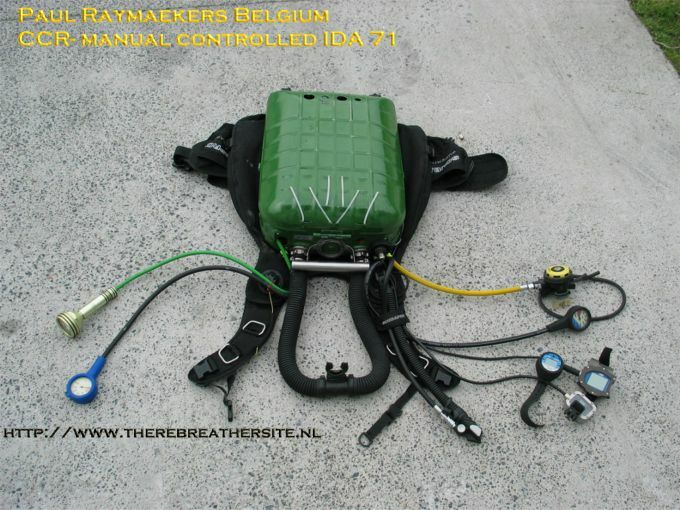 He rebuild a Russian IDA 71 to a full closed circuit KISS style rebreather. There are some very nice features applied in his system. 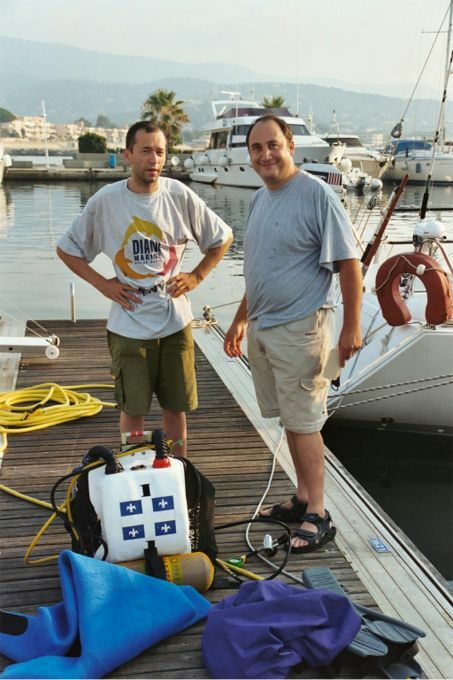 Paul managed to make the rebreather very safe to dive and added quit a few extra safety arrangements. Nice handle to have grip on the housing. Very! nice construction of adding the gasses to the loop. 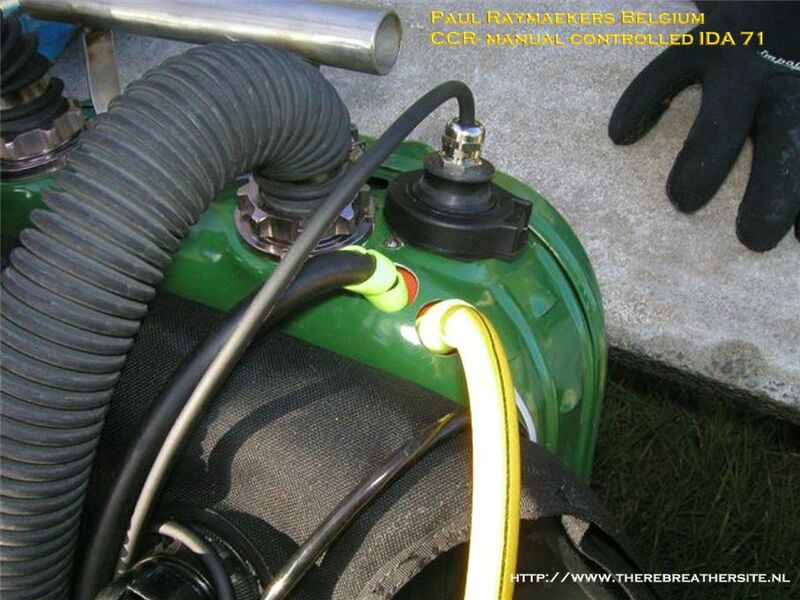 No hoses in front off the diver, and a very reliable method for adding diluent or oxygen manualy! 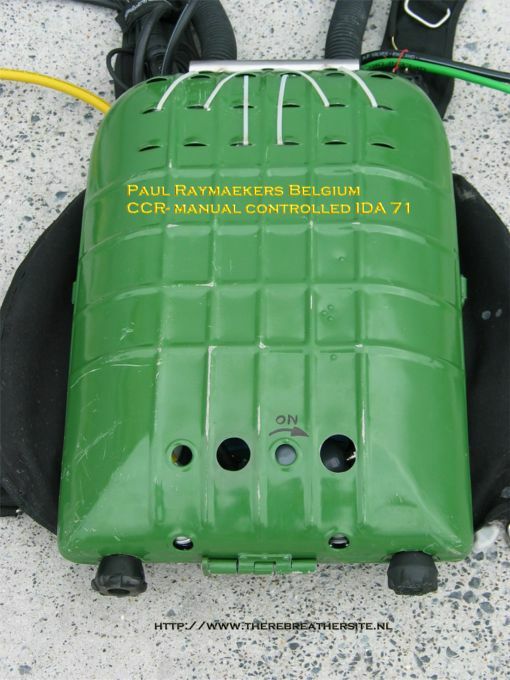 Integrated accupack for the lamp. 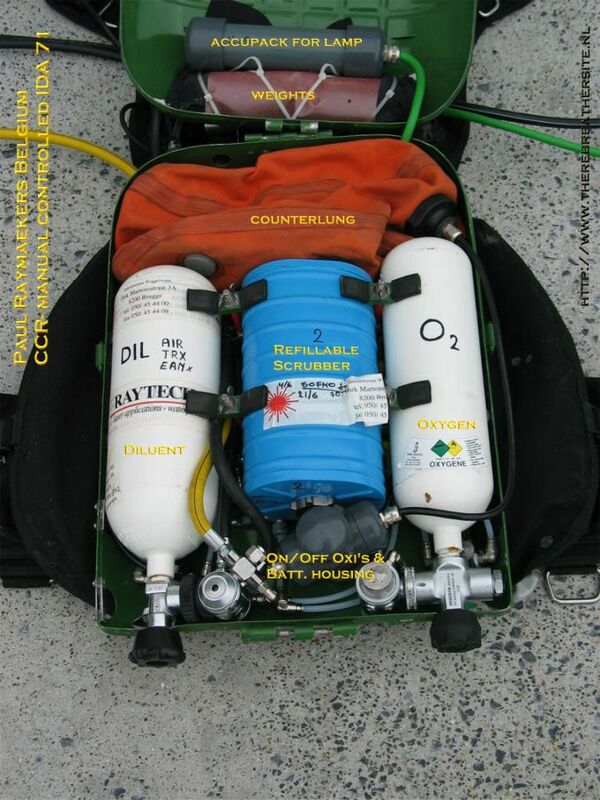 P-ports on the counterlung for oxygen sensors. 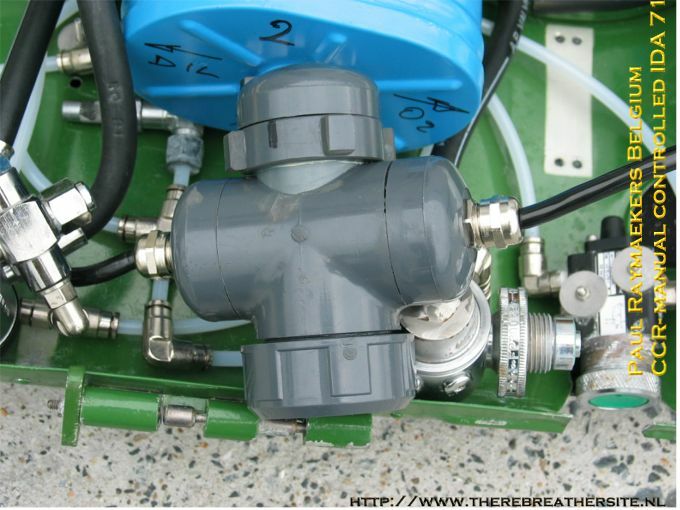 Accu's and switch for double oxygen sensors. Magnetic switch. KISS addition system. Third P-port for oxygen sensor. 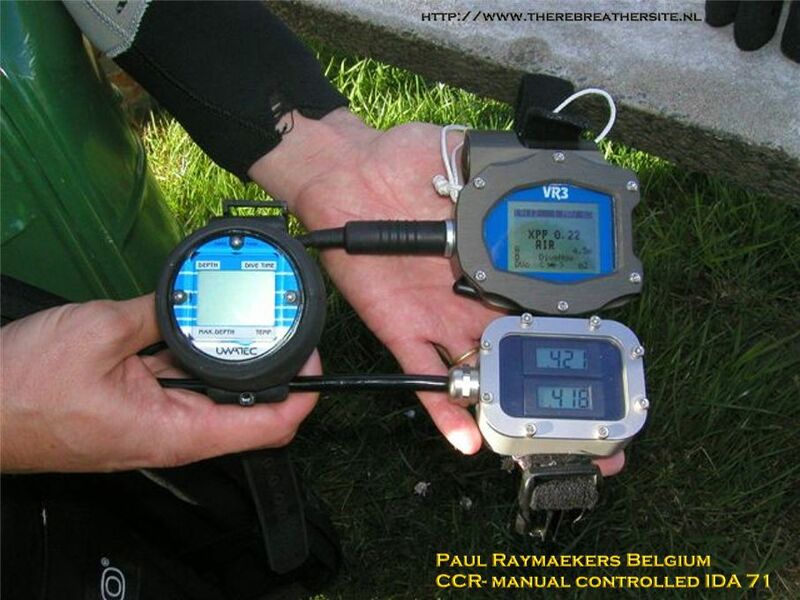 Bottom timer with triple oxygen partial pressure display. Real time decompression calculation. PAUL & IDA in action! 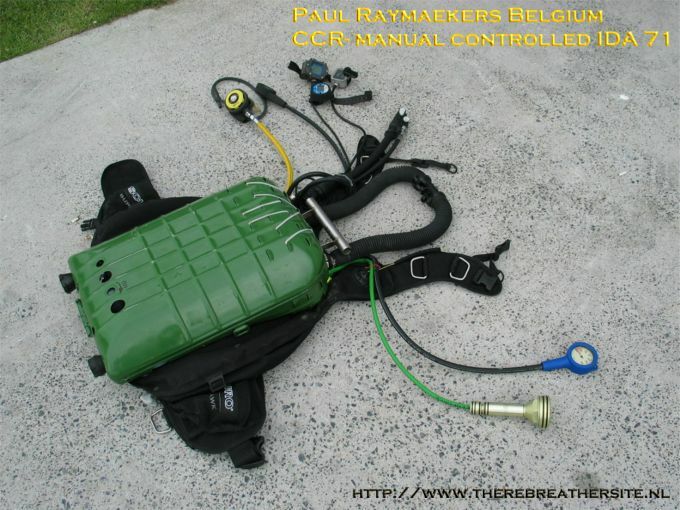 Paul, great rebreather. I like this concept very much. The KISS system is very reliable. 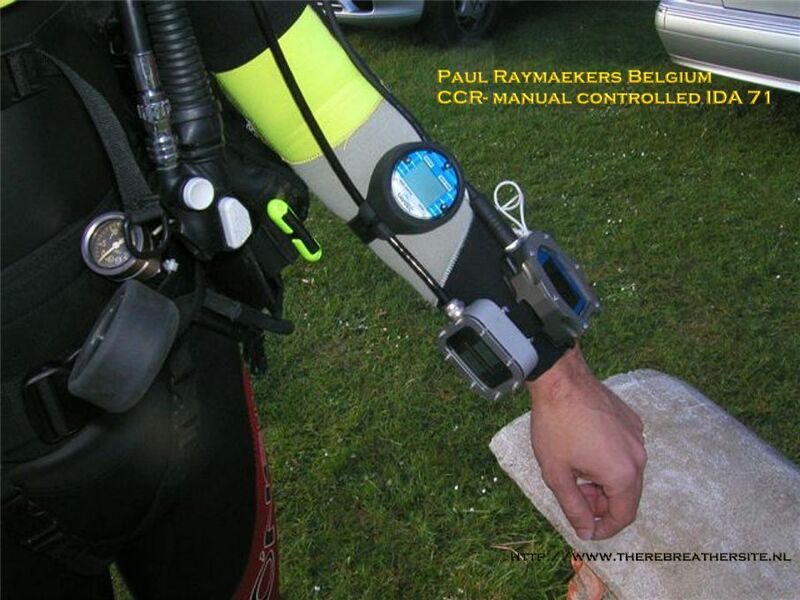 Add this triple control system and decompression measurement in real time and you have a fantastic rebreather. It must be diving very relaxed.